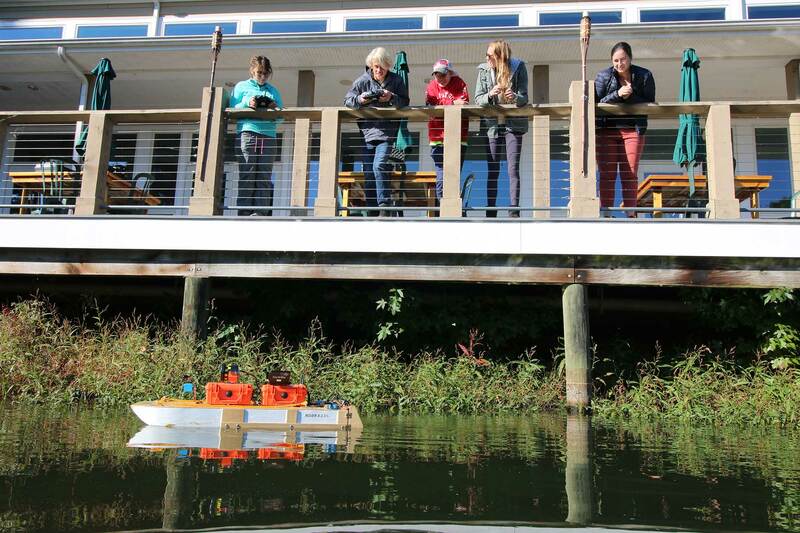 The Chesapeake Bay Environmental Center (CBEC) will be hosting education programs to present lessons and activities created by AEROKATS and ROVER Education Network (AREN). AREN technologies are designed by NASA engineers and lesson developments incorporate STEM education using real-world settings at CBEC. The program’s data capture and visualization tools are designed to incorporate protocols set by The Globe Learning and Observation to Benefit the Environment (GLOBE) program and meet Next Generation Science Standards (NGSS). 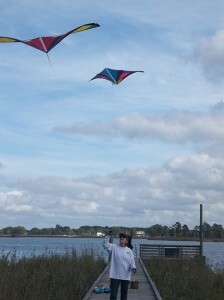 Advancing Earth and Observations with Kites and Atmospheric/Terrestrial Sensors (AEROKATS) – 6-12th Grade. The Advancing Earth Research Observations with Kites and Atmospheric/Terrestrial Sensors (AEROKATS) program uses kites and sensor platforms, developed by NASA engineers, with the latest low-cost scientific instruments to collect in- situ and remotely sense atmospheric data. CBEC uses AEROKATS to monitor the invasion of non- native salt marsh grasses in the Chesapeake Bay. how to operate AREOKATS equipment and field instruments used to collect atmospheric data. how to properly retrieve, analyze and interpret atmospheric data on GLOBE’s database https://www.globe.gov/globe-data/retrieve-data. basic aerodynamics and atmospheric properties of the surrounding environment. collect in- situ and remote sensing data at different wind speeds in varied altitudes using kites. survey the diversity of CBEC property that allows students to read different landscapes. gain experience operating new generation technologies. 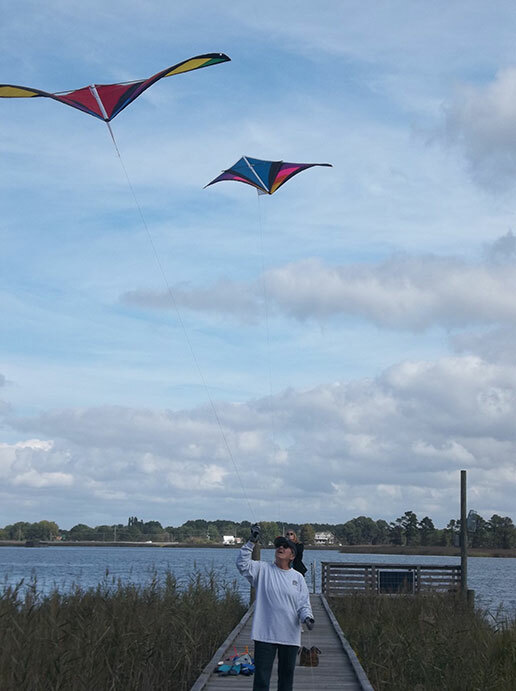 learn proper kite flying and equipment handling techniques and practice safety management. Choose one or both of the following programs to determine your AREN experience. A lunch break will be included for longer programs. To discuss scheduling a program, initially, please contact Judy Wink at jwink@bayrestoration.org or call 410.827.6694. A $50 deposit is due to hold your program date. Deposit can be paid online or by check. Remotely Operated Vehicles for Education and Research (ROVER) – 6-12th grade. 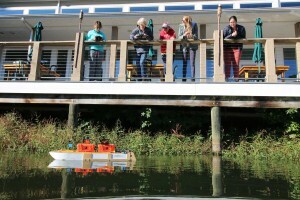 The Remotely Operated Vehicles for Education and Research (ROVER) program will introduce students to remotely operated aquatic platforms and new age water quality data technologies that strengthen student development in scientific literacy. CBEC uses ROVERs to monitor water quality and aquatic wildlife development in fresh and saltwater ponds throughout the property. water quality parameters that are important to both fresh and saltwater habitats, and are specific to each ecosystem. how to monitor water quality data at CBEC’s freshwater ponds and unique salt water ecosystems. how to interpret the result of hydrology tests to determine the status of water quality. collect local water quality data using aquatic- based remotely operated vehicles. use a payload of standard sensors and probes to record multiple water quality measurements. investigate the plants and animals that are found in and around an aquatic ecosystem.